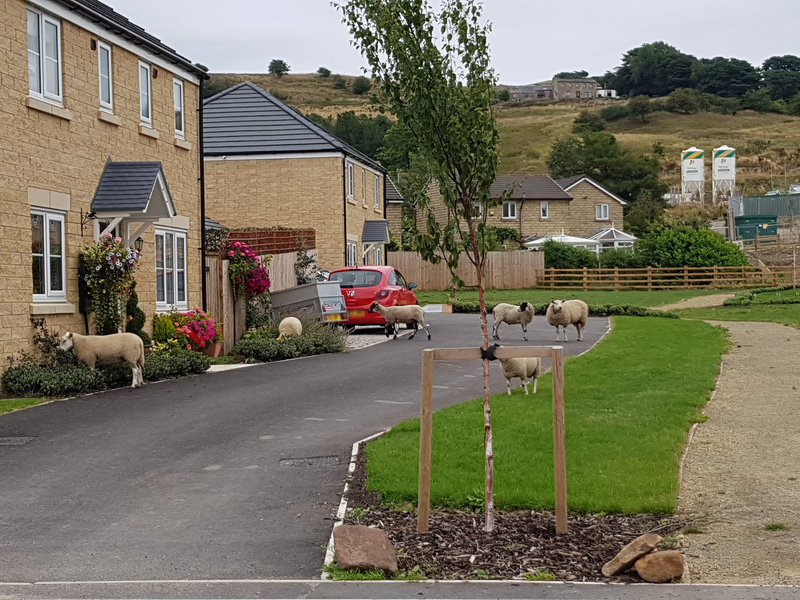 Sheep roaming in Colne with Hubbs House Farm on the hill behind. Pendle dairy farmer John Allison of Hubbs House Farm, Southfield Lane, Colne has until 9th November to erect and maintain stock proof fences around the land he keeps his cattle on, after Pendle Council took him to court. The injunction to that effect was made at Burnley County Court on Friday 12th October. The court order follows several incidents since the spring and on one occasion last year where around 20 bulls, cows and calves escaped from his land causing damage to people’s gardens around Oxford Road in Nelson. And his sheep also escaped, causing damage on Knotts Drive and Knotts Mount in Colne. “The wandering cattle also caused significant damage on Marsden Park Golf Course,” explained Philip Mousdale, Pendle Council’s Corporate Director. “On one occasion part of the course had to be closed due to concerns for people’s safety,” he added. “If John Allison fails to comply with this injunction he will be in contempt of court and faces the possibility of a substantial fine and even imprisonment,” Philip Mousdale stressed. Allison was also ordered to pay the council’s legal costs of £680.41 which he must pay by 9th November. “This recent court injunction follows a long back catalogue of offences by John Allison stretching back for over nine years,” said Philip Mousdale. “And this month the Environment Agency has successfully brought criminal proceedings resulting in the court imposing a fine on John Allison of over £6,500 after he pleaded guilty to fly tipping waste on his land without an environment permit,” he added. In 2015 Pendle Council prosecuted John Allison for burning of waste on his land including tyres and plastic. He pleaded guilty to two charges of contravening the Clean Air Act and was sentenced to a 12 month conditional discharge. In 2013 Pendle Council successfully used emergency powers to close John Allison’s dairy. An inspection by one of our Environmental Health Officers found the dairy and equipment to be in a filthy condition with animal slurry covering the dairy floor in the areas used for processing, bottling and storing milk. In 2009 milk producer John Allison pleaded guilty to 14 offences under food hygiene legislation following action by Pendle Council’s Environmental Health Officers.